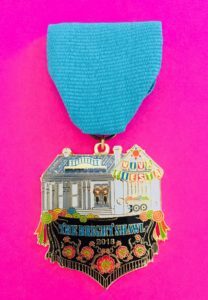 2018 Fiesta Medals Are Here!! This year we are celebrating the Bright Shawl. Purchase your 2018 Fiesta medal for $12 at the JLSA Office during office hours. You can also call 210.225.1861 to purchase and pick up your medals at the office. Hours and location noted below. Quantities are limited!